Experience the Grand Prix of Spain of Formula 1 and the Moto GP first hand at the Circuit de Barcelona-Catalunya. Here you can book the tickets without presale fees. We will take over the ticket fee for you. The racetrack, located only about 20 kilometres from Barcelona, ââhas been the starting point for the Formula 1 season in Europe since 1991. 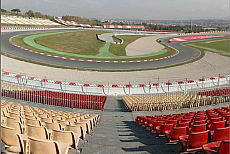 The Formula 1 Grand Prix on the race track of Montmeló near Barcelona is THE motorsport event in Spain. 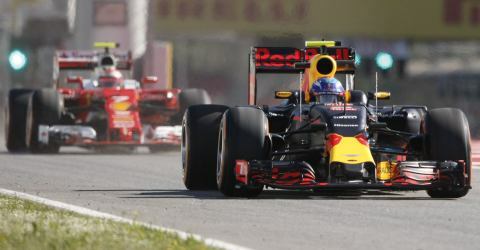 With the Spanish Grand Prix on 10 - 12 May 2019, the F1 season starts traditionally in Europe. You will find important information about the race track and and how to book tickets. 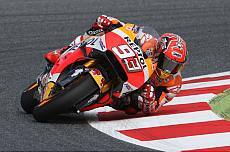 The MotoGP is very popular in Catalonia and the spectators cheer enthusiastically for their stars on bikes. Here we describe the 13 grandstands and show them on the map of the Formula 1 stadium. You can then decide which place you want to book. We also provide parking recommendations for the individual grandstands.